GCI are a leader in their field and are considered a true ‘one stop’ metal manufacturing business providing the widest range of end to end solutions to their customers, Australia wide. Precision, innovation and quality are at the core of the business and clearly evident in every aspect of their business, from laser cutting, metal fabrication, rolling and welding through to general machining and even the recent introduction of a robotic weld cell. 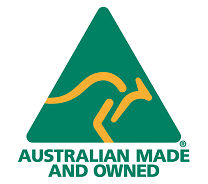 GCI is proudly Australian owned and today employs over 75 staff who keep the business at the forefront of technology, customer service and quality, ensuring a strong future for the business. GCI approached iTMS/Opto in 2006 as they were growing fast and needed to implement a system or systems that would improve their efficiencies and reduce the data handling that was so time consuming. In addition, management had no visibility or traceability so the need for accurate reporting and live information dashboards was a priority. At this point labour costs were estimated and this was affecting job pricing and profit margins and a solution was required at a per job level that was manageable and user friendly. The Opto Enterprise, Manufacturing solution provided the solution GCI were looking for and implementation commenced mid 2006, the system was live just 3 months later. Over the 10 years the system has been live, GCI have grown to utilise all the features of the system and continually push the boundaries to maximise usage and efficiency gains within the system. Continual system development and deployment of web based tools such as ‘live’ KPI dashboards and production screens that display live job data in the production environment are all playing their part in improving the overall business. The biggest gains are related to time and cost savings such as reduced data entries resulting in reduced errors in data, sourcing information fast and less retyping of data, and live production data which enables production staff to stay ahead of the curve with all jobs. Scheduling has also been a big win for GCI as they can now maximise their machine and staff times in relation to stock, jobs and due dates, this in turn allows GCI to be flexible and reschedule jobs as and when needed to meet demand and customers’ expectations. As a result, GCI has seen growth year on year and the iTMS/Opto system implemented has provided the foundations for that growth and will continue to do so into the future. In 2006 GCI was getting to a size were we required the implementation of MRP system to enable us track our jobs. At that time GCI was just a laser cutter and only required a system that we could quote, purchase and enter jobs with just one process. After looking at what systems were available to us we made the decision to go with ITMS. The main reasons for choosing ITMS was the local support and the ability for the system to grow with us. At the start we were only using the features of ITMS in a limited capacity due to our simple processes, but we could see from the outset that ITMS would be able to handle whatever we needed it to in the future. In the past 10 year we have grown enormously and for some time now we have been fully fabricating and manufacturing complex assembly’s from start to finish. We now have 4 lasers, 4 press brakes, sheet metal workers and boilermakers as well as powder coating. All of our process are scheduled from start to finish through the ITMS system.